Here’s the first screen you’ll see when you launch the Steam client, which will be released very soon. You’ll only see this screen once and the choice is permanent. After making a choice the login process will be automatic and transparant to the user. 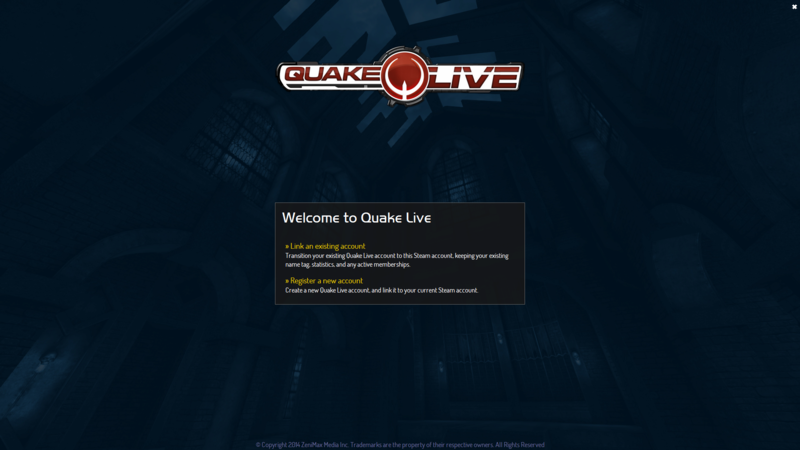 Updates will happen through the Steam client and the QL Launcher is no longer of use. Once your account is linked you can only log in via Steam. Nice, option to link existing account is good stuff!